The Nanchang CJ-6 is an aircraft designed and built in China for use by the People's Liberation Army Air Force (PLAAF) as a basic trainer. A common, but erroneous, belief is that the CJ-6 is a Chinese version of the Russian Yak-18A. 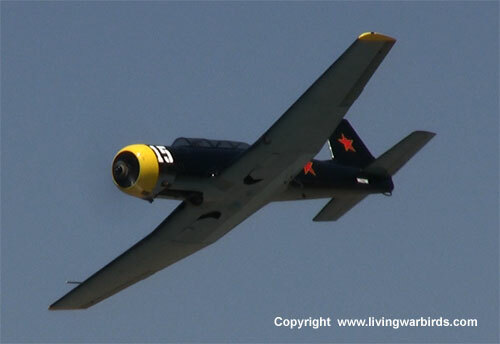 It's predecessor, the Nanchang CJ-5, was a Yak-18 design built under licence. However, advancements in pilot training brought a need for a new aircraft with improved performance and a tricycle landing gear. When the Soviet Union developed the Yak-18A, the PLAAF engineers decided that its performance and design would not suit China's needs. 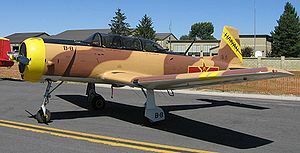 During late 1957 Aeronautical Engineers Bushi Cheng and Lin Jiahua began work in Shenyang on a trainer design that addressed the shortcomings of the Yak-18A. The design they delivered featured an aluminum semi-monocoque fuselage, flush-riveted throughout, and introduced a modified Clark airfoil wing design with pronounced dihedral in the outer sections. Wind tunnel testing validated the design, and in May 1958 the program was transferred to the Nanchang Aircraft Manufacturing factory where Chief Engineer Goa Zhenning initiated production of the CJ-6. The first flight of the CJ-6 was completed on August 27th 1958 by Lu Maofan and He Yinxi. Power for the prototype was provided by a Czech-built horizontally-opposed piston engine, but flight testing revealed the need for more power, so a locally manufactured version of the Soviet AI-14P 260 hp radial, the Housai HS-6, was substituted along with a matching propeller, and with that change the CJ-6 was approved for mass production. In 1965 the HS-6 engine was upgraded to 285 hp and redesignated the HS-6A, and the aircraft equipped with the new powerplant were designated the CJ-6A. A total production run estimated at more than 3,000 aircraft supplied CJ-6 aircraft for PLAAF training, as well as export to countries including Albania, Bangladesh, Cambodia, North Korea, Tanzania, and Sri Lanka. One thing to note is that the Nanchang CJ-6 makes extensive use pneumatics to control the gear and flap extension/retraction, operate the brakes and start the engine. An engine driven air-pump recharges the system, however if air pressure is too low to start the engine then the onboard airtank can be recharged by an external source. If an external source is not available then the engine can be started by hand swinging the propeller. Two-seat primary trainer aircraft, powered by a 260-hp Zhuzhou Huosai HS-6 radial piston engine. Two-seat primary trainer aircraft, powered by a 285-hp Zhuzhou Huosai HS-6A radial piston engine. Improved version. Two-seat armed border patrol aircraft, powered by a 300-hp Zhuzhou Huosai HS-6D radial piston engine. Small number built. Export designation of the CJ-6 and CJ-6A. Haiyan Prototype. First flew on the 17th of August 1985. Single-seat agricultural topdressing, aerial spraying, fire-fighting aircraft, fitted with an upgraded 345-hp Huosai HS-6 radial piston engine. Two-seat civilian observation and patrol aircraft.